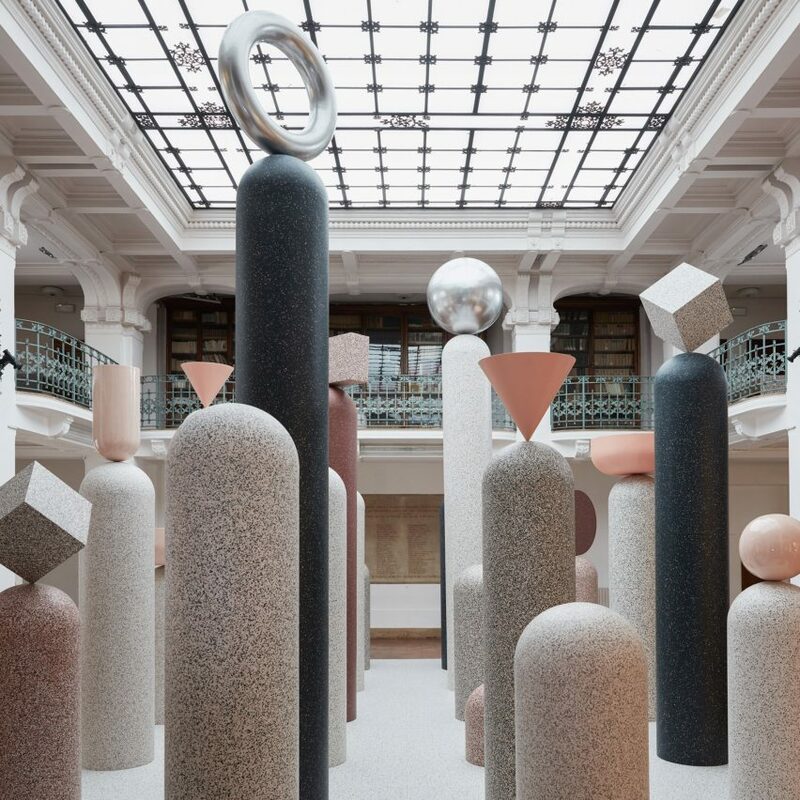 Note Design Studio has installed geometric totem poles inside a historic Milanese building to showcase the potential of Tarkett's IQ Surface, a new material that can be continuously recycled. Located in Circolo Filologico for the duration of Milan design week, Formations is an exhibition of the latest product from vinyl flooring manufacturer Tarkett. IQ Surface is a durable material that can cover angular and curved forms. It is produced using recycled materials, and can be recycled by Tarkett when it is no longer in use. Stockholm-based Note Design Studio worked with the brand to design the colours and patterns of the material, and then designed the Milan installation to show some of the many ways it can be used. The result is a room filled with 24 towering columns, featuring colourful speckled surfaces and topped with an assortment of 3D shapes. According to Note Design Studio co-founder Cristiano Pigazzini, the aim was to "trigger emotions and create that gut punch of an experience". "We searched for the contrast between the simple and the complicated, the exclusive and the affordable, the natural and constructed," he said.